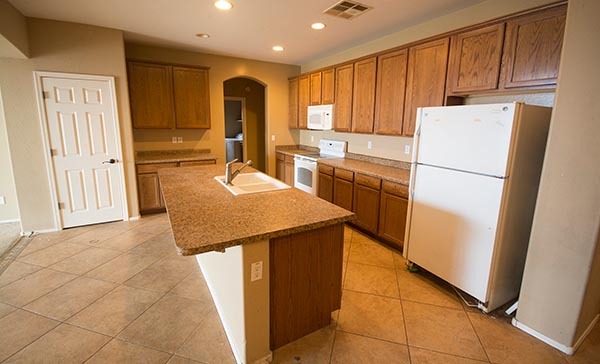 When it’s time to sell or invest in a home, Maricopans have a unique opportunity to benefit from using a local agent who is so committed to selling a home that he’s willing to pay out of his own pocket for improvements. Dayv Morgan of HomeSmart Success offers to cover the costs of renovating and updating a home before putting it on the market, in order to increase its value and marketability. All homes experience wear-and tear over the years, and Dayv counters that by installing new carpet, fresh paint and even full kitchen remodels when necessary. The selling price can then be increased to cover, and usually exceed, the cost of the improvements. Dayv, who sells over 100 homes annually, advised that such improvements not only help the seller make more money but also benefit the buyer as well. The program Dayv developed allows a seller to access his pool of preferred contractors, with whom he has negotiated reduced fees, or sellers can use their own referrals to make the repairs. Regardless of who completes the work, he pays up front for the improvements and is reimbursed from the proceeds of the sale, without charging any interest to the seller. The idea came to him after seeing companies like Open Door and HomeVestors “low-ball” sellers to buy their home as-is, and then after making a few cosmetic improvements they would list the home on the MLS and resell it for a profit. He was surprised to see how much equity owners were giving away by selling their home direct to an investor. As a listing agent he created a process that allows sellers to “flip their own house” and keep the profit themselves. A 10-year resident of Maricopa, Dayv Morgan lives in the Palo Brea subdivision with his wife and four sons.